Virat Kohli will have a chance to add yet another feather to his already illustrious cap when India take on Windies in the second ODI. Despite skipping the Asia Cup to take some much-needed rest, Virat Kohli hit the ground running on his ODI comeback. 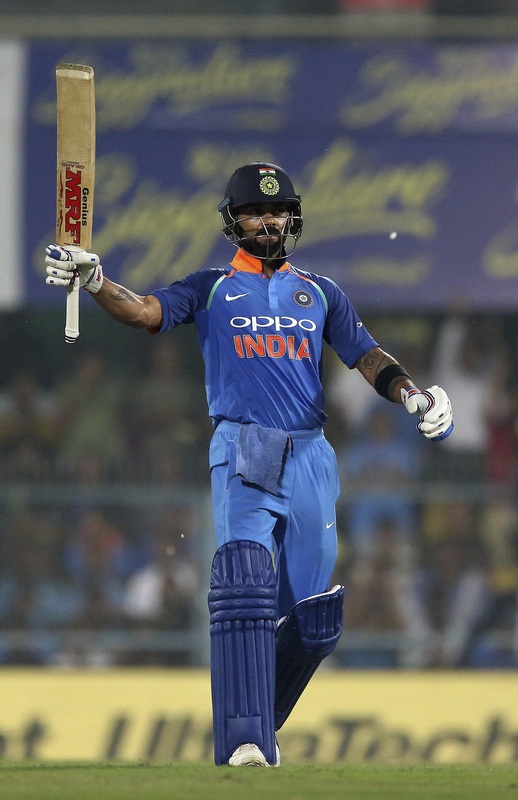 The India skipper slammed a stunning century as India crushed the Windies by 8 wickets to go one nil up in the five-match series. It looked like India are set to have a tough evening after the visitors piled up 322 for 8 and dismissed in-form Shikhar Dhawan cheaply. 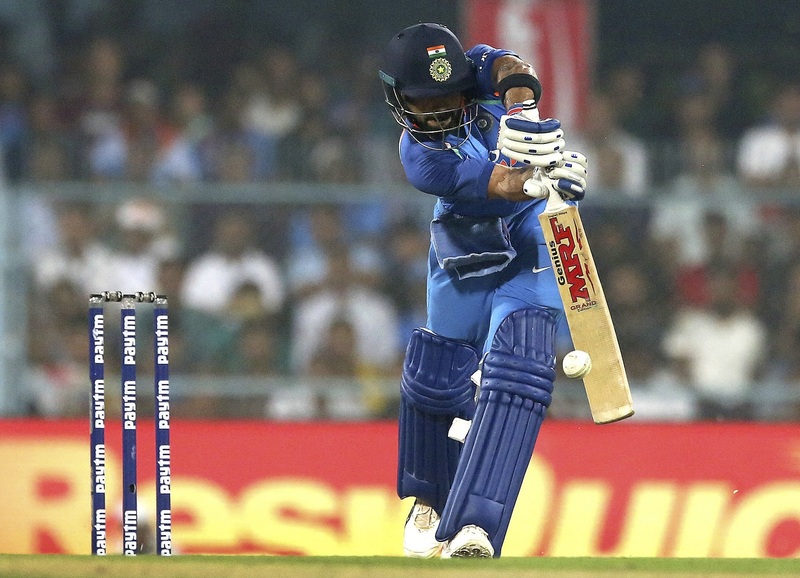 However, Kohli launched a stunning counterattack to blow the Jason Holder-led side away. He and Rohit Sharma, who remained unbeaten on 152, stitched together 246-run stand to bat the visitors out of the game. In the end, India chased down the total in just 42.1 overs. Kohli now has eight centuries while chasing 300-plus totals in ODIs which is the most by any player. The next in the list is Kumar Sangakkara who scored four tons during such chases. The Indian skipper is the first to complete 2000 International runs in the ongoing year. The 29-year old scored his 14th hundred as India’s ODI captain. He is now second in the list of most ODI centuries as skipper. The list is led by former Australia skipper Ricky Ponting who scored 22 hundreds in 230 ODIs. Kohli now has an opportunity to achieve yet another milestone when he comes out to bat in the next game. The 29-year old is only 81 runs away from completing 10,000 runs in ODIs. He will become the 4th Indian and 13th batsman overall to achieve this feat. Not only this, but Kohli will also become the fastest to 10,000 ODI runs in terms of innings. He has played 204 innings so far and has a chance to surpass Sachin Tendulkar who achieved the feat in 259 innings. The Indian captain is also only 47 runs away from surpassing Tendulkar in the list of most runs against West Indies by an Indian batsman in ODIs. Interestingly, MS Dhoni is also on the cusp of reaching 10,000 ODI runs for India. Although, he already has 10,000 ODI runs, he has scored 174 runs for Asia XI and as such, needs 51 runs to complete 10,000 runs in ODIs for India. The second ODI between Indian and West Indies will take place on Wednesday, October 24.